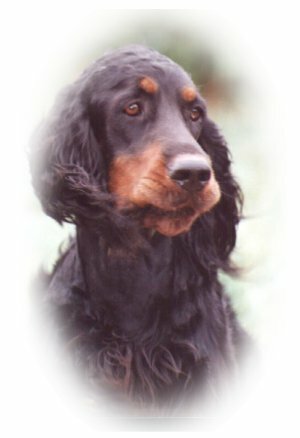 Bred by Robyn Wallis of Rokeena Kennels in Australia, Tori was imported to North America by Suzanne Douglass, Douglan Kennels. Tori split her time between Suzanne's house in Scottsdale, Az and mine in Okotoks, Ab. Tori was very vocal and opinionated always had to have the last word and you always knew when she was at home. 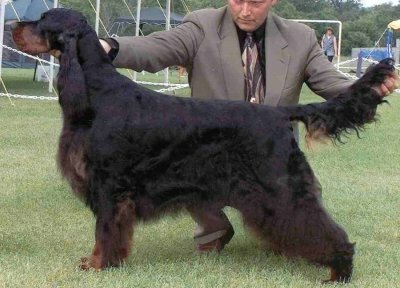 Tori completed her Canadian title with multiple group placings, her US championship was completed with three majors and breed wins from the classes. 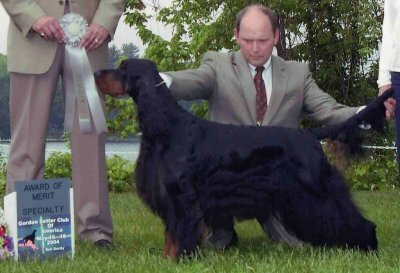 Tori’s only trip into the conformation ring 2002 brought home the Best of Breed trophy from the Canadian National Specialty. The later part of 2003 Tori was presented primarily in the US, by Doug Belter, but she did find time to attend a couple of shows in Canada as well. Tori was #3 Gordon in Canada 2003 and ranked in the top 20 in the US. In both countries she is a sporting group winner. 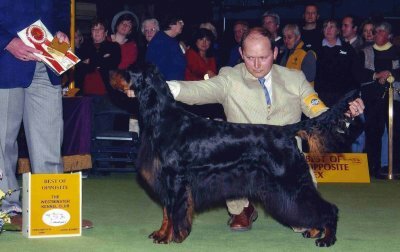 Tori has been show on a limited basis in 2004, some of these wins include Sporting Group 1, BOS at Westminster and AOM at the National, Sturbridge Mass. Tori had just one litter, to AmCan Ch. Sassenach Preferred Stock, which produced a very special young man, Roland. Sadly Tori left us quite unexpectedly Christmas 2005, a beautiful gordon girl who gave her all and lived life to the full. A shooting star that has gone all to soon. Tori will always be remembered, her clean defined markings, excellent bone and substance a very balanced young lady with wonderful well-defined planes, making her expression true gordon.